Malaysia January 2014: Now with Top 45 All-brands ranking! 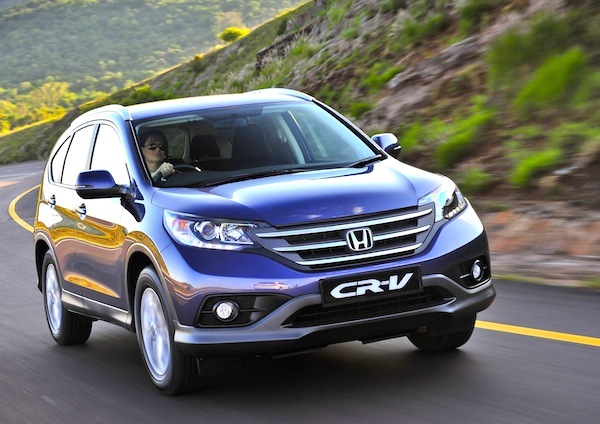 Honda CR-V. Honda grabs 12.7% of the Malaysian market this month. The Malaysian new car market is down 9% year-on-year in January to 50,273 registrations. According to the Malaysian Automotive Association (MAA), the decline is due to aggressive sales promotions at the end of the year which meant customers registered their new vehicles before December 31. Normally, December is a challenging month for the car companies because many customers may order their new vehicles but prefer to have them registered in the following month, when the year of registration can be a new year. This, however, did not occur in 2014. The outlook for February is not expected to be better due to the long Chinese New Year holidays which will bring the the number of selling days down for the month. Normally available only twice a year, Malaysian car website has published brand data for January. Is this the first step towards a return to detailed monthly data for Malaysia – including models rankings? Let’s hope so. If Perodua (24.1%) and Proton (19.4%) still largely dominate, their January market shares are frankly lower than their FY2013 levels. Toyota rounds up the podium again but with 13.1% of the market it is now threatened by Honda up to a fantastic 12.7% vs. 7.9% in 2013. Other great performers this month include Ford at #7 and 2.2% vs. 1.6% in 2013, Kia at #8 and 1.8% vs. 1.1% and Suzuki at #13 and 1.4% vs. 0.8%. Full January 2014 Top 45 All-brands Ranking Table below. next post: Malaysia February 2014: Now with Top 46 All-brands ranking!